The Passion of Christ and the celebration of his Resurrection held great importance for Italian nuns of the late 16th and 17th centuries. 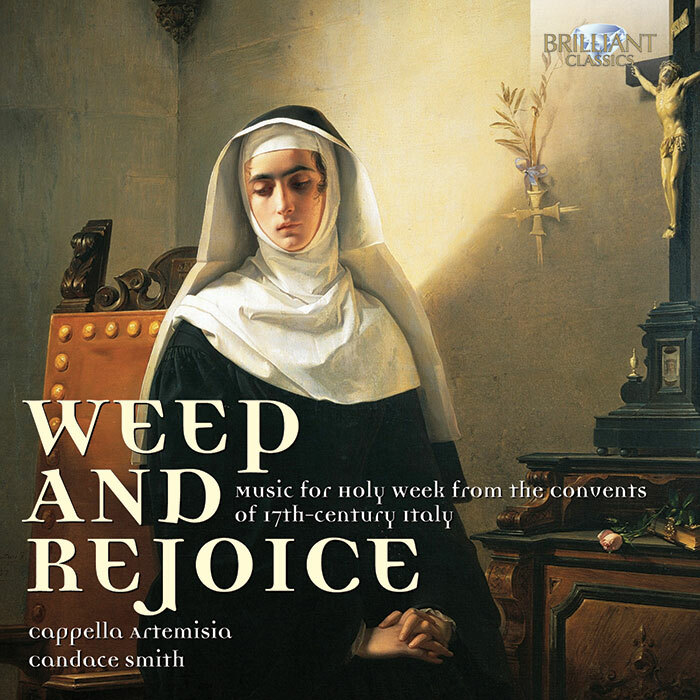 This program presents music composed by and for Italian nuns which these cloistered brides of Christ would have performed during Holy Week and Easter Sunday. It includes both works by nun composers (Cesis, Cozzolani, Aleotti, Perucona, Vizzana, Rusca, Leonarda and Badalla), as well as works by better known male composers dedicated to these women. 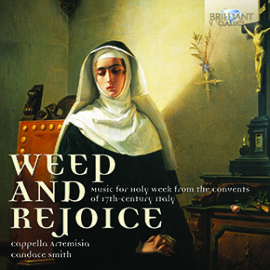 Polyphonic pieces for both large and small forces as well as solo motets are presented, notably a Lamentation of Jeremiah for solo voice by the Sienese nobleman Alessandro Della Ciaia (a daring work which belongs to the long tradition of wives lamenting the death of their husbands). Also featured are dramatic dialogues involving various personages of the Passion and a madrigal by the great Claudio Monteverdi revisited as a sacred contrafactum intended specifically for convent usage. This recording features an ensemble of 8 voices, a large continuo section and even transverse flutes.